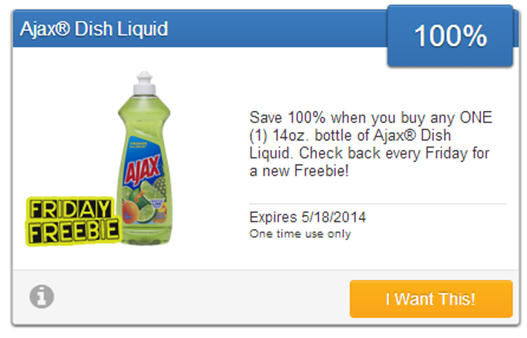 You can get FREE Ajax® Dish Liquid! SavingStar has a new Friday FREEbie for us today! Just load the offer and grab yours!